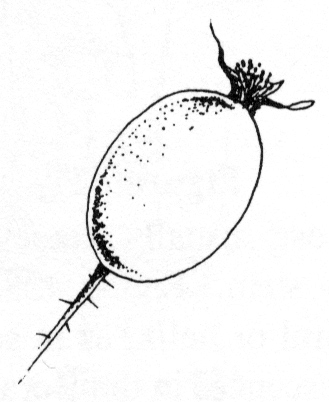 Accessory fruit A fleshy fruit developing from a succulent receptacle rather than the pistil. 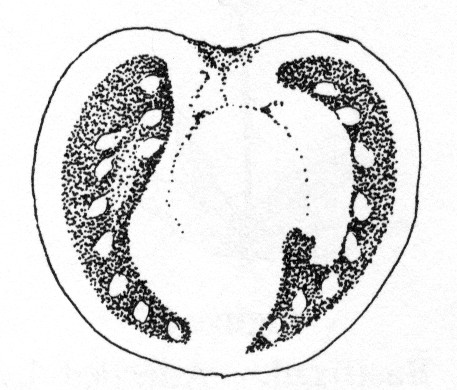 The ripened ovaries are small achenes on the surface of the receptacle, as in the strawberry. 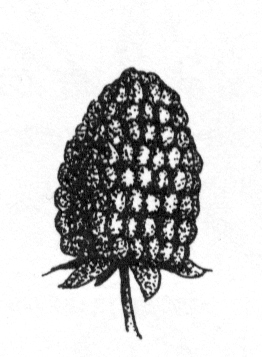 Aggregate fruit Usually applied to a cluster or group of small fleshy fruits originating from a number of separate pistils in a single flower, as in the clustered drupelets of the raspberry. 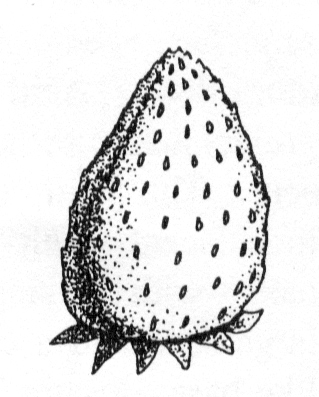 Berry A fleshy fruit developing from a single pistil, with several or many seeds, as the tomato. 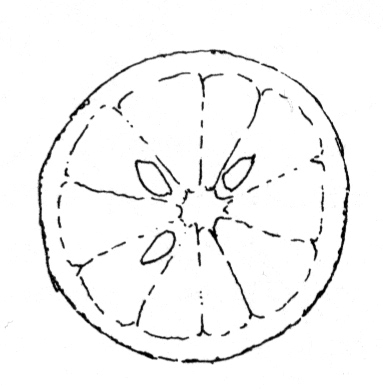 Sometimes applied to any fruit which is fleshy or pulpy throughout, I.e. lacking a pit or core. 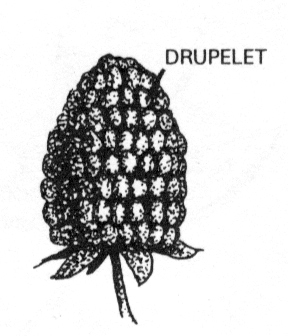 Drupelet A small drupe, as in the individual segments of a raspberry fruit. Hesperidium A fleshy berry-like fruit with a tough rind, as a lemon or orange. Hip A berry-like structure composed of an enlarged hypanthium surrounding numerous achenes. 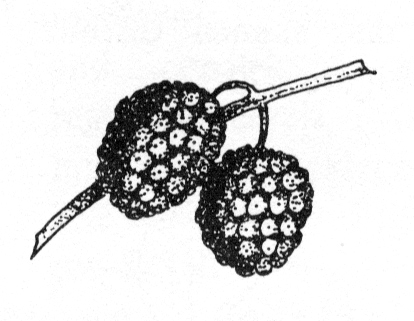 Multiple fruit A fruit formed from several separate flowers crowded on a single axis, as a mulberry or pineapple.